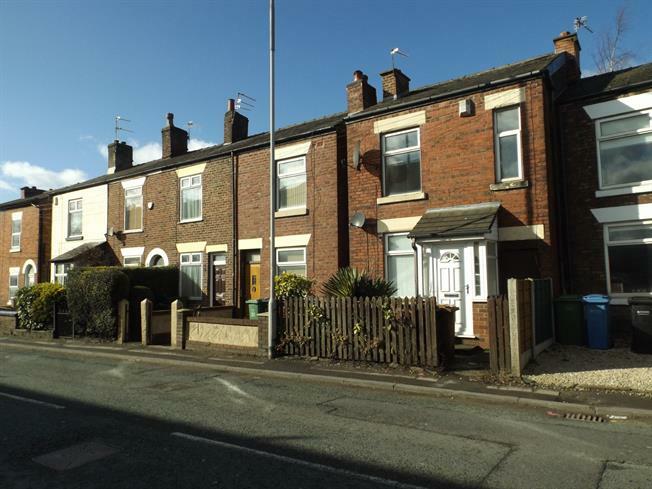 2 Bedroom Terraced House For Sale in Stockport for Price on Application. A two bedroom end terrace property ideally located close to local amenities including Stepping Hill Hospital and walking distance to Hazel Grove train station. There is an entrance porch to the front leading into the main reception room and a spacious kitchen with a wonderful sun room beyond. The sun room leads to the rear garden and is the perfect place to entertain both family and friends. To the first floor, there is a fabulous larger than average double bedroom and a spacious single bedroom with a family bathroom. The property has its own direct gated access to the rear garden from the front. A two bedroom end terrace property with garden and sun room available with no chain.